This part of QuirksMode explains Dutch politics to foreigners. I’ve wanted to do this for a long time, even though I estimate that worldwide only about twelve non-Dutch speakers will be interested in the topic. In eleven articles I will treat the political history of the Netherlands from 1848 to the present day. This page gives a general introduction to those articles. On my Political quirks blog I will follow current Dutch politics, especially as they apply to the elections. I’m a historian originally, and not a political scientist. That has consequences for my treatment of the material; although some political science theories have greatly helped my understanding of Dutch political history, others mainly want to prove an abstruse theoretical point that has little bearing on the everyday workings of politics — at least, that’s how it seems to me. As a historian (though not of modern Dutch politics) I’m required to be as fair as possible, although that's pretty hard when it comes to the CDA. I vote left, and that will undoubtedly introduce a bit of bias in my treatment. 1989: De Groenen (Roel van Duijn), a leftist fringe group that didn't make in into parliament. During my research for this series I found out it was a PPR split-off; something I had no idea of back then. 1994: D66. I supported the Purple idea eagerly. 1998-2006: SP. Too much sell-out of public services by a PvdA-led government caused me to veer sharply to the left. 2010: D66. The SP was too conservative for me, especially regarding Europe. 2012: SP. Despite being conservative, the SP is the only party I trust to take a stand against big finance. 2017: GL. D66 is too right-wing for me; SP too anti-European; I was not going to vote PvdA after the Rutte II government. So: GL. Dutch politics are best understood in the context of themselves; although there is some overlap with Belgian, German and Scandinavian politics, the Dutch political system is unique and has features not seen anywhere else. (The same goes for all other political systems, by the way.) I doubt there are universal lessons to be drawn from these pages, but I’ll leave judging that to you. In general the Dutch consider nine the minimum number of parties necessary to adequately represent themselves politically. Foreign students of Dutch politics, especially those from the Anglo-Saxon countries, will have to learn to live with this fact. The Dutch elect only their legislative bodies; all executives are nominated by the Crown. Dutch elections are based on proportional representation. A party that gets 7% of the national vote gets 7% of the seats in national parliament. It does not matter where these votes were cast; there are no electoral districts. Proportional representation allows small parties to be represented in parliament, which is generally considered a Good Thing. The downside is that no party ever gets a majority by itself; in order to form a stable government, several parties will have to form a coalition. Dutch parliament has 150 seats; and 76 are necessary for a majority (and hence a viable government coalition). A government coalition consists of two of the three formerly-large parties. Until 1994 that was enough; thereafter the two parties had to invite a third, smaller coalition party to obtain a majority — and inn 2017 a fourth. Note to American readers: in European politics, Liberal denotes the moderate right, and not the left. This site uses Liberal exclusively in this European sense. If you know something of German politics, compare PvdA to SPD, CDA to CDU, and VVD to FDP. The fourth party in this three-party system was D66, which aimed to change Dutch politics and succeeded in 1994 with the creation of the Purple PvdA+VVD+D66 government. During the Purple era (1994-2002) the PvdA moved too far rightward economically, while the VVD moved too far leftward when it came to immigration. This led fo the creation of whip parties — extreme parties that by their very existence force mainstream parties to move away from the centre in order to recapture their voters. The SP on the left and first Pim Fortuyn and then Geert Wilders’s PVV on the right are vying for control of their wing with the PvdA and VVD. On the whole the VVD has held up rather better under this stress than the PvdA, partly because the CDA is in trouble as well, and many of its former voters have moved rightward to the VVD. After elections, the largest party takes the initiative in forming a governmental coalition. If that party fails to reach an agreement after several monts, the initiative passes to the second-largest. This process continues until a coalition has been formed. The party leader of the largest party becomes prime minister. His government is known by his name, followed by a Roman numeral if it’s his second or later government. After the 2006 elections the Balkenende IV government was formed; i.e. the fourth government prime minister Balkenende (CDA) presided over. In addition to the three large parties there are tons of smaller ones. Sometimes the large parties have to select a small party for their coalition, and during this the selection process the small parties are on their best behaviour. Thus, before the elections small parties have to be different enough for voters to prefer them over a larger party, and after the elections they have to be moderate and reasonable enough to present themselves as viable and serious coalition partners. Some small parties skip the reasonable moderation and concentrate on the differences. They get to play in parliament, but not in government. One of the current problems in Dutch politics is that the distinction between small and large parties is sometimes lost. Although this article series will treat events in chronological order, I’ll jump back and forth through the post-war era if I need extra examples or illustrations. Therefore you need to know the broad outline of Dutch political history since 1848. In 1848 parliamentary rule was instated, and the first forty years were mainly about the struggle between liberals, who wanted to extend parliamentary power, versus conservatives, who wanted to defend royal prerogative. This period ended with a victory for the liberals, and the conservatives dissolved into a secular wing that became nominally liberal, and a religious wing that became anti-revolutionary. During this period the catholics first allied with the liberals, then with the conservatives, and finally with the anti-revolutionaries. From 1888 to 1918 Dutch politics were overshadowed by the so-called Antithesis. In this political theory all christian parties, both catholic and protestant, were each other’s allies against the secular liberal parties. The christian and liberal blocks alternated in forming a government, and fought out a bitter cultural war, the school struggle. The christian block was led by the protestant anti-revolutionaries (ARP). In the pacification of 1917 the christian parties were allowed to win the school struggle in exchange for their support for universal suffrage and the replacement of the district system by proportional representation. The liberal parties committed electoral suicide by subscribing to the pacification; their share of seats went down from 39 to 18 out of 100. In the Interbellum the three christian parties, RKSP (catholic), ARP (left-protestant), and CHU (right-protestant) ruled due to their constant majority in parliament. Unfortunately tensions between the catholics and protestants came to the fore. There was some old-fasioned religious warfare, and in addition the catholics moved noticeably to the left in this period, while the protestants moved to the right. The second largest party, socialist SDAP, was excluded from government altogether, mostly due to the bishops’ command that the catholics not cooperate with them. This made the only alternative to the catholic/protestant alliance impossible. It was only in 1939, when the anti-revolutionaries disastrously overplayed their hand, that a catholic/socialist government was formed. In 1940 the Germans invaded the Netherlands, and five bitter years of occupation followed. The only party to welcome the invaders was national-socialist NSB. The other parties offered various levels of resistance; the communists and anti-revolutionaries, especially, were implacable enemies of the nazis. After the liberation the three christian parties took the game from where they left it. However, within the christian coalition the primacy shifted from protestant ARP to catholic KVP. The KVP first governed with socialist PvdA, as well as the protestant parties, but in 1959 the PvdA was swapped for liberal VVD. All this must be seen in the light of the growing tension between the catholics’ left and right wings. In 1956 parliament was enlarged from 100 to 150 seats. In the sixties many once-reliable religious voters turned to the secular left and right, and the christian parties lost their absolute majority. The old christian/liberal coalition became electorally strained, and finally impossible. This period ended with the PvdA leading the most progressive government in Dutch history. To stem the electoral tide, KVP, ARP and CHU merged into the CDA. This move was succesful. New parties appeared (and disappeared) at an astonishing rate. Of these, only left-liberal D66 became a permanent fixture in Dutch politics and was admitted to the circle of government-worthy parties. In the 1977-1994 era the CDA reigned supreme and used first the VVD as its coalition partner, and later the PvdA. During this period the fundamental workings of Dutch politics are best visible, uncluttered by smaller parties. After the 1994 elections PvdA and VVD combined with D66 to form the so-called Purple government. CDA was Out for the first time since 1918. Internationally, the Purple government was best known for its liberal ethics: gay marriage and euthanasia became legal during the Purple period. That's no coincidence: in ethical matters the CDA, being a Christian party, remains somewhat conservative. Therefore liberal ethics could only really catch on during the Purple government that consisted exclusively of non-Christian parties. The 2002 elections were overshadowed by gay, catholic, ex-communist populist Pim Fortuyn and his tragic murder. It inaugurated a period of intense electoral movements, in which the large parties lost ground — decisively, it seems — and right-wing anti-immigration populist parties gained a foothold in parliament. In these days there was an unusual amount of international interest in Dutch politics. In 2003 the CDA returned to the centre of power. CDA leader Balkenende led three more governments, first with the VVD, then with the PvdA, in time-honoured fashion. Still the large parties were diminished in stature, and the renewed CDA dominance did not herald a return to the three-party system. On the extreme right Wilders inherited Fortuyn’s mantle. From 2010 on the VVD is the largest party, the liberals ousting both christian-democrats and social-democrats for the first time since the advent of proportional representation. His first government was supported by Wilders, who dropped it like a hot potato when it suited him. This proved him untrustworthy, and as a result even the right-wing parties don’t want to form a coalition with him. The Rutte II government was a rehash of Purple, minus D66, and although PvdA and VVD allow one another more liberties, it again proves an ideologically strained concept that will likely drag down both social-democrats and liberals once more. The 2017 elections once more drew uncommon international interest, because people wondered if, after Brexit and Trump, Wilders would triumph as well. He didn’t, and that ended international interest pretty quickly. After this quick introduction we’ll start with The rules of the game. From the 2006 elections on I’ve been working on an article series that explains Dutch political history to foreigners. Unfortunately I miscalculated; I thought I’d have to publish them only in 2011, when the next elections were slated. The fall of Balkenende IV a full year earlier has forced my hand; I have to publish it now. The problem is that of the twelve articles only eight have been written. The last three, which treat political history from the fall of Purple in 2002 to today, remain unwritten. The twelfth article is a recent idea, and I still have to think about it a bit, although part of the content is ready. It’s 2016 now, and it’s clear that I am taking my time for writing this overview, which I started working on in 2006. Blog My blog on which I follow current Dutch politics. Polls All current and past polls, the overall scoreboard, and a coalition game. Parliaments Graphs of all Dutch parliaments from 1888 on. Table A table of all Dutch parliaments from 1888 on. 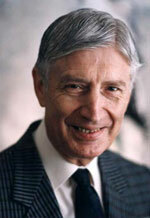 Dries van Agt (1931), CDA party leader 1977-1982, justice minister 1971-1977, prime minister 1977-1982. 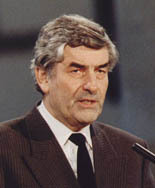 Ruud Lubbers (1939-2018), CDA party leader 1982-1994, economics minister 1973-1977, parliamentary leader 1977-1982, prime minister 1982-1994, UN High Commissioner for Refugees 2001-2005. 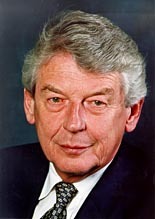 Wim Kok (1938-2018), PvdA party leader 1986-2002, finance minister 1989-1994, prime minister 1994-2002. 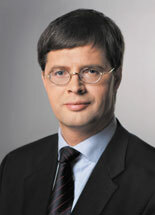 Jan Peter Balkenende (1956), CDA party leader 2001-2010, prime minister 2002-2010. 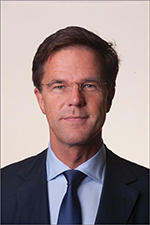 Mark Rutte (1967), VVD party leader 2006-present, prime minister 2010-present. From the table below it’s clear that every government contains exactly two of the three large parties; as well as a smaller one, if necessary. D66*: D66 in government, even though the two large parties held a majority by themselves.